A photograph of Parkdale Elementary School in Topeka, Kansas. John Alcala is in row one. 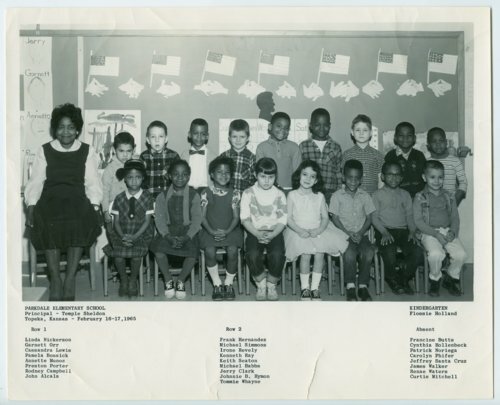 Flossie Holland is the kindergarten teacher and Temple Sheldon is listed as principal.